A healthy Miniature Schnauzer should eat a balanced nutritious diet. Learn how to feed your Miniature Schnauzer here. Miniature Schnauzers are active small Terriers that weigh an average of 15 pounds as adults. A healthy Miniature Schnauzer should eat a diet that incorporates balanced nutrition and the caloric needs of small dogs. The diet must contain fiber, protein, and carbohydrates to provide for daily energy needs. 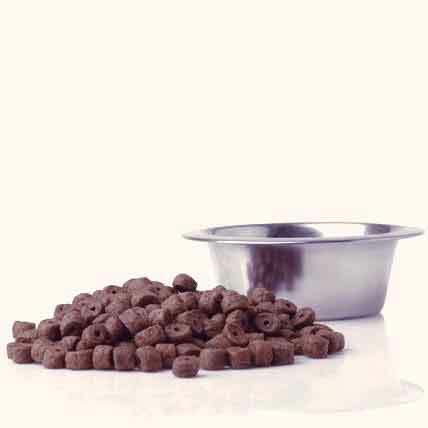 A high-quality complete and balanced commercially prepared dog food will contain all the nutrients, vitamins, minerals, and antioxidants a Miniature Schnauzer needs to thrive. However, Miniature Schnauzers are susceptible to several genetic health issues that may need to be addressed with dietary adjustments. 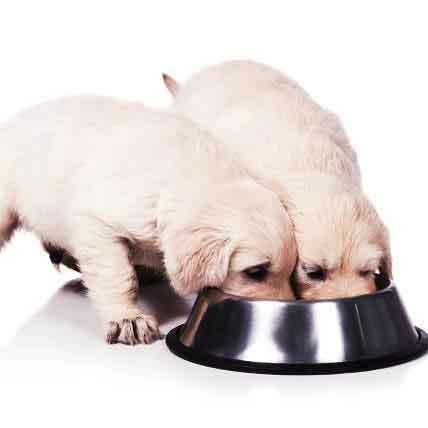 The National Academy of Sciences says adult dogs should get at least 10 percent of their calories from protein. Proteins provide Miniature Schnauzers with the 10 essential amino acids that are important for a healthy life. Dogs need protein for survival. 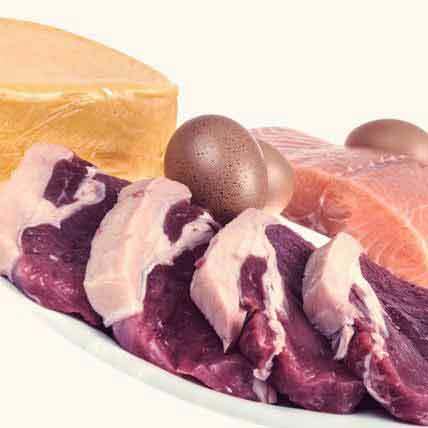 Protein sources include meat, eggs, poultry, fish, legumes, and soy. Nutritionally balanced diets for dogs include at least 50 percent carbohydrates with 2.5 percent to 4.5 percent of fiber, according to the NAS. Carbohydrates should include plant foods, legumes, and cereal grains such as rice, oats and barley. 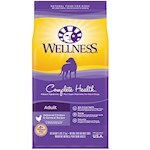 Wheat products in the diet can cause weight gain, and many dogs are allergic to wheat products. If your Miniature Schnauzer develops skin problems and you suspect food allergies, it may be best to avoid dog foods that contain wheat products. 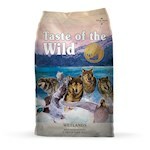 Meat fat and fats derived from nuts or seeds provide fats and fatty acids in a dog's diet. Fats give dogs energy, carry vitamins throughout the body, and help cells function. Fats also prevent dry, flaky skin and help keep the skin and fur healthy. Omega-3 fatty acids improve eye function and learning abilities. Fats also enhance the flavor of the food. Fats should be 5 percent of a dog's diet, according to the NAS. 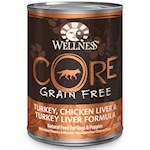 Fish oil or olive oil may be added to a dog’s food to supplement the dog's intake of fats. However, Miniature Schnauzers have high levels of lipoproteins in their blood and are prone to pancreatitis, an inflammation of the pancreas that can be brought on by high fats in the diet. One high-fat meal can trigger the problem, so Miniature Schnauzers should be kept strictly on their normal diet and not be fed table scraps. To prevent onset of pancreatitis, it is important that miniature schnauzers not be fed high-fat diets and not be allowed to become obese. Just as humans do, dogs need calcium and vitamin D for strong bones and teeth. Use small bits of cheese rather than commercially prepared dog treats as rewards for your Miniature Schnauzer to add calcium to the diet. 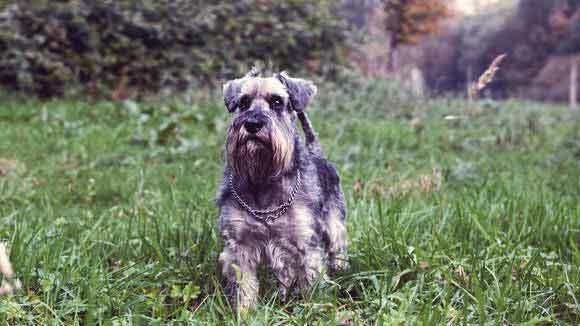 Male miniature schnauzers are prone to Oxylate stones in their bladders, which form from high calcium levels. Add only small amounts of calcium to their diets. 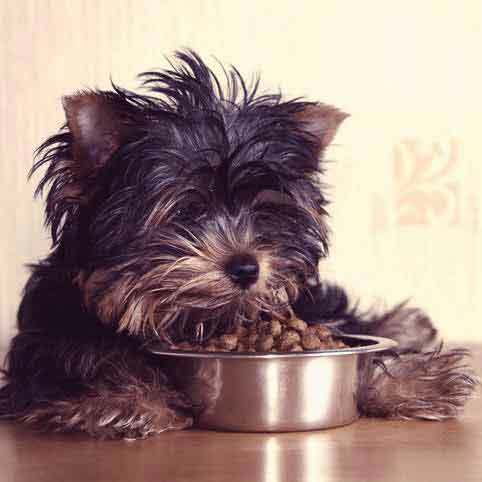 Divide your Miniature Schnauzer's daily ration into two meals per day, and provide clean, fresh water throughout the day. Miniature Schnauzers are an ideal weight when you can feel their ribs and see a waistline behind the ribs. Decrease the daily food amount if you cannot feel the ribs, and increase the food amount if the ribs are visible. Sodium can increase the risk of bladder stones, which are common in Miniature Schnauzers. Avoid foods containing sodium when preparing meals for Miniature Schnauzers.